When planning a multigenerational vacation or even a vacation for a large family, it can be a challenge to find a place that has something for everyone. Kids are going to want lots of activities and grandparents are going to want to relax and take it easy. Well, look no further! 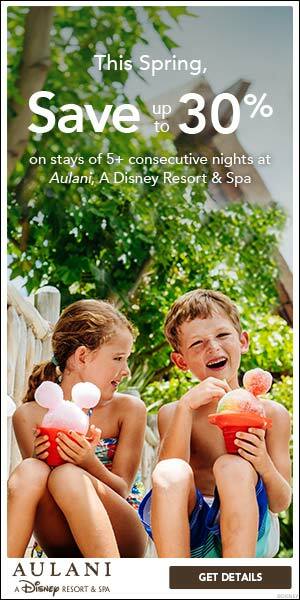 Disney’s Aulani Resort and Spa is a great vacation for large families! 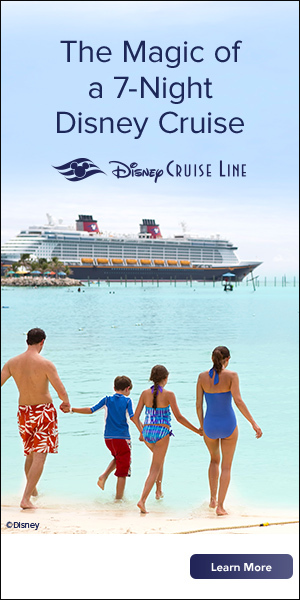 Finding the right accommodations can be one of the biggest challenges when planning vacation for large families. Aulani Resort and Spa has several different accommodations to meet the needs of families of all sizes. Standard rooms sleep up to 4 people with 2 queen beds an include a small refrigerator. The 1-bedroom suites sleep up to 5 people with a king bed in the master bedroom, a queen-size sleeper sofa and twin-size pull-down bed and 1-2 bathrooms. The 2-bedroom suite ssleep up to 6 people with a king bed in the master bedroom a queen-size bed and queen-size sleeper sofa in the second bedroom and 3 bathrooms. The deluxe studio villas sleep up to 4 people and have an extra-large private balcony. When you choose a 1, 2 or 3 bedroom villa, you not only get extra space to spread out, you also get all the amenities included in a room, plus added conveniences including a separate living room, full kitchen, washer/dryer, and more. They are truly a home away from home. The 1-bedroom villas are 750 square feet and sleep up to 5 people. The 2-bedroom villas are 1100 square feet and sleep up to 9 people. The 3-bedroom grand villas sleep up to 12 people and have an extra-large private balcony. At Aulani, you can choose to swim in one of the pools, sit in a whirlpool, snorkel or enjoy the beautiful beach. The little kids will like to play and splash at Keiki Cove and the Menehune Bridge and Trail. The adults will enjoy the adult-only Wailana Pool. Waikolohe Pool and Waikolohe Stream are fun for the entire family to enjoy. You can swim with many of the animals that live in the salt waters as you snorkel in Rainbow Reef, an enormous man-made lagoon with amazing. Relax or stroll along the beautiful white sands of Ko’ Olina behind the Resort. Beach chairs and umbrellas are available to rent. At Aulani, you’ll find fantastic dining options for the entire family using the finest local ingredients. ‘AMA ‘AMA is the signature restaurant at Aulani that features an open-aired seating section with amazing views and celebrates not only the delectable fish but also the many fishing settlements along the leeward coast dating back to the 12th century. Makahiki – The Bounty of the Islands is named after the annual Hawaiian festival that celebrates the harvest, Makahiki is a feast for your senses. Dine among colorful murals created by local artists while enjoying glorious views of lush tropical foliage. There are two character meals held at the Makahiki. Aunty’s Breakfast Celebration at the Makahiki is hosted by Aunty every Tuesday thru Sunday. This family-friendly buffet is fun for the whole family and the perfect way to start your day. It includes such breakfast favorites as island fruits, house-baked pastries, a carving station, Island-inspired offerings and daily specialties. Menehune Mischief is a character dinner also held at the Makahiki. Join Aulani Resort’s beloved “Uncle” and some favorite Disney characters for a musical, story-filled character dining experience for the whole family! Celebrate the Menehune – magical little people of Hawaiian legend – as Uncle and his friends tell delightful tales that come to life through enchanting music, sing-alongs and interactive adventures. Enjoy the entertainment as you dine on a fresh, locally sourced buffet loaded with delicious favorites that the entire family will love. There are several quick-service dining locations, like Ulu Cafe. You don’t have to miss the sun for lunch if you order from one of the poolside bar and grills. Papalua Shaved Ice is a delicious treat when you’re out in the sun all day. Just like in the Disney Parks, Aulani can work with all kinds of special diets. There are plenty of activities at Aulani to keep kids and adults busy. The Pau Hana Room (Community Hall) has games, arts and crafts, ukelele lessons, t-shirt stamping and more. This is also where you can check out a special cell phone for the Menehune Adventure Trail, an interactive treasure hunt. There are ‘Ohana Movie Nights, Mo’Olelo Fire Pit Storytelling, and more. The Ka Wa’a Luau is great choice for the entire family. Aunty’s Beach House is a 5,200 square foot, state of the art kids club for kids ages 3-12 with activities like video games, Hawaiian arts and crafts, Disney movies and much more. Aulani offers a teen spa, Painted Sky, and also the Laniwai Spa for adults which also offers some family spa packages. There are so many reasons Disney’s Aulani Resort and Spa is a great choice for a vacation for large families. You can read more about my stay at Aulani Resort and Spa in this post. 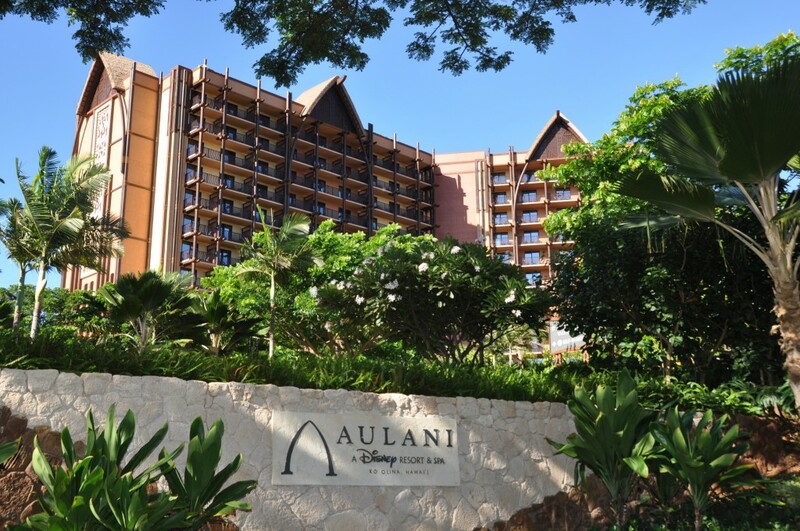 If you would like more information about Aulani, just click here and I will send you more information!